The new age consumers have broader exposure to technologies and are equally interested in trying different means of shopping. Their preferences and shopping patterns are changing the retail industry landscape. Multichannel retailing has opened many gateways for the retailers to reach the consumers and establish higher brand visibility and sales. Every channel has its challenges and at the same time provides an opportunity for the retailers to create a positive and uniform shopping experience for the consumers. The multichannel retailing imperatively needs an efficient, centralised and automated e-commerce solution to meet the opportunities and challenges of the market. Although the consumers may shop from various channels, for them the brand is one entity. Hence the shopping experience needs to be consistent and pleasant across all the channels. Overall brand experience and convenience of shopping are the principal determining factor for consumers when they choose a channel to shop, whether they buy from a physical or online store. 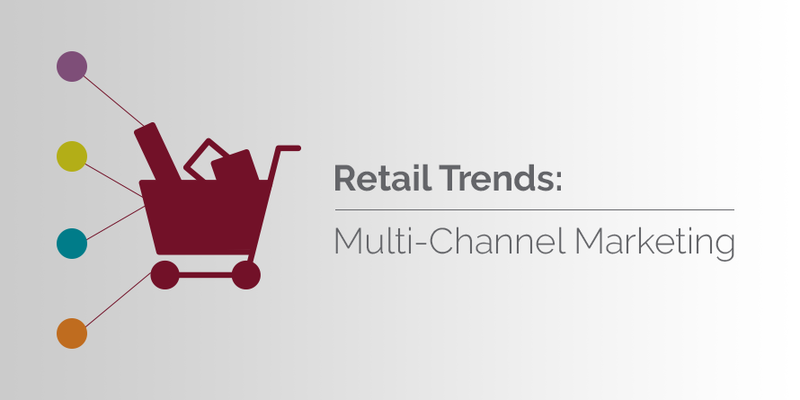 Here are some novel trends emerging and defining the multichannel retailing. The consumers are no more apprehensive about the difference between an electronic or physical mode of shopping. The shoppers who visit brick-and-mortar stores browse for the same product on other channels to find out quick availability, price, additional discounts and other offers. Flexible order fulfilment is trending in the multichannel retailing, as the consumers are seeking convenient payment and product delivery options. Many shoppers prefer to place an order online and pick up at the nearest store. The consumers can benefit from the opportunity to see the product before actually buying it and avoid paying immediately online. The trend of exploring hassle-free returns handling is on the rise. One of them is, the buyer can return a wrong order or an unwanted purchase made online directly to the store. Often, the store sales staff convince the consumer for an exchange than return. The situation also offers the opportunity to cross-sell to the consumer. Here is an efficient way of handling stock-outs than losing a customer. If a store is running out of stock of a particular product the consumer is looking for, the sales staff can arrange for the delivery of the product directly from the centralised warehouse or a store. The gesture enhances the brand image and ensures brand loyalty. The physical stores can save hugely on the property cost by stocking fast-moving products and having online or physical catalogues or a sample of slow-moving or seasonal products. The consumers will have extended options to shop for the product they like (though it is not in the store) and get it home delivered. The retailers will neither lose the sales opportunity nor run the risk of over-stocking or waste storage space. The consumers are finicky and channel-hop more frequently. Rather than feeling intimated by this trend, the retailers can see it as an opportunity to create an ecosystem of intermingling sales and service channels that yield far outreaching results in the future. The digital media has taken the retail industry by storm with its incessant consumer reach. At the same time, the consumers are preferential about when and how they want to be reached. This trend has given rise to the scenario where the product marketing initiative and inventory across multiple channels of sales should match, providing the desired consistent experience of shopping to the consumer. This trend calls for consistency and clarity in market communication and stock availability across channels. Consumers are keen to have immediate delivery options for same-day delivery, next-hour delivery. This trend is here to stay and drive the order shipment function of the multichannel retailers. This instant delivery trend requires the businesses to invest in a centralised operations management solution to enable quickest possible ways to pick, pack and ship the orders. Smartphone users are growing in number and prefer to shop from their phones with flexible delivery options as mentioned earlier. The mobile technology will enable the shoppers and the retailers to forge a seamless platform for buying and selling. Facebook, Pinterest, Bing and Google will soon become mainstream channels for sales for the retailers as increasing volume of consumers are visiting the websites for a product review, shopping experience, service and other interactions. The social commerce is the growing trend in the multichannel retailing scenario. The multiple channels of sales are no more exclusive to each other. They overlap each other and can be effectively used to provide seamless brand experience to the consumers. The multichannel retailers need to adopt innovative strategies to cater to the changing consumer preferences to be able to efficiently handle the tall orders of multichannel retailing.